Angela Mastoris of Seven Sisters Healing Arts is one of my best friends and a gifted Chinese Medicine and Acupressure practitioner. Feng shui and acupressure have much in common and both focus on moving chi smoothly. Feng shui looks at chi in your environment whereas acupressure seeks to unblock and balance the chi in your body. So in essence, Angela works with the feng shui of your body! As she says below in the interview, "human touch is a master healer". In light of the Spring Equinox which falls on March 20th this year, Angela generously shared some of her knowledge with us about acupressure and considerations for Spring! AC: What is Acupressure and what are the benefits? AM: "Acupressure is an ancient healing art that uses the fingers to press key points on the surface of the skin to stimulate the body's natural self-curative abilities,” in the words of Michael Reed Gach, author and founder of the Acupressure Institute in Berkeley, CA, which I attended. We are working with acupuncture points (reservoirs of energy in the spaces between the muscles, bones and connective tissue) and meridians (rivers of energy on which the points exist). We hold a point until we feel the point ‘pulse’, which indicates the chi is moving. When chi does not move, we have pain and pathology. An acupressure practitioner works with the same body of knowledge as acupuncturists; it is acupuncture without needles. For example, a practitioner would hold a point on the back called a shu point, that connects directly to a point between the vertebrae corresponding with the meridian one chooses to bring into balance. With the other hand, the practitioner would hold remote points on a meridian to affect whatever purpose he is looking to achieve. I find that it is a great place to start for people who are interested in Chinese Medicine, but are afraid of needles. It is also extremely effective in people suffering from emotional trauma. Human touch is a master healer, and it is underutilized in the United States and many other places. How do you look at the Spring Equinox from your Chinese medicine background? I look at the Spring Equinox from the Five Element Theory point of view. I consider it to be the most difficult transition for us in every area: mind, body and spirit, because one is making the transition from being very internal to very external, and rather abruptly. It can shock the immune system. In Five Element Theory, we experience five seasons. Winter is the Water Element. It is very internal, deep, and emotional. Its emotion is fear or anxiety (out of balance) and wisdom (in balance). We retreat in winter. Spring or the Wood Element is the exact opposite. It is external: wood grows and expands. Wood is associated with anger and creativity; it achieves goals and is out in the world creating. It’s the very opposite of winter, the Water Element. Winter is time to recharge our batteries before bursting forth in spring, with the Wood Element. What simple tips can you offer the readers in consideration for the upcoming Spring Equinox and this difficult transition? Focus on immune system support with diet, supplements and activities. I view the Spring Equinox as difficult for the body because of external, environmental changes. As the weather warms up, one should change their diet; it should become more raw, more alkaline, and vegetable based. In winter, we eat the roots of vegetables and hot energy spices (like cayenne) to move the blood and generate heat in the body to combat the external cold, which is an environmental creator of pathology in Chinese Medicine. Also, a concern with the environment is the onslaught of allergies due to nature becoming alive and awake. The allergies we get from dust and pollen lowers the immune system. Most people will get allergies, and then get sick, because the body is compromised. A practitioner would focus on something called Wei chi, the body’s defensive chi connecting to the Lung meridian and the nose, the first frontier for the body and the outside world. Also, it is a great time for Spring-cleaning. Clean the slate in your environment to bring in new energy, which is symbiotic with nature’s process. Restart and recalibrate your self-care routine to match nature. The Four Gates are exactly what you think they are: points that move energy around or out of the body. They are the points between the webbing between the first and second digits of your hands and feet. The first set of two gates is Large Intestine Meridian/ LI 4, which is located at the web of your thumb and first finger. LI 4 is one of the most well known points in the acupuncture system. It moves things down and out of the body, much like the large intestine organ itself. It’s a good thing for the body to “let go” of toxins and things that built up emotionally or physically over the winter. This detoxification of the body helps boost the immune system. The Lung meridian is the Large Intestine’s partner that faces the outside world. You are letting go of heat and external evils you don’t need in your body. The Lung Meridian is closely connected with Wei Chi or the body’s defensive chi, or immune system. The two points remaining in the Four Gates are: Liver 3. Liver 3 and Large Intestine 4 are also called ‘Source Points”. Source points are the most powerful reservoirs of energy on a meridian and can help move the chi in other closed points on the meridians. Liver 3 is source point for the deep, yin, internal, and masterful Liver meridian. The Liver Meridian’s chi is the most powerful in the body. It is also one of the most powerful points for Spring! Spring or the Wood Element is concerned with new beginnings. That is why it is popular to do juice cleanses and detox diets during the spring. Liver 3 is located in the webbing between your big toe and second toe. Those are the Four Gates: to let out the old and bring in the new. Applying daily pressure to these four points (LI 4 and L3) will help ease the transition from winter to spring. See images. 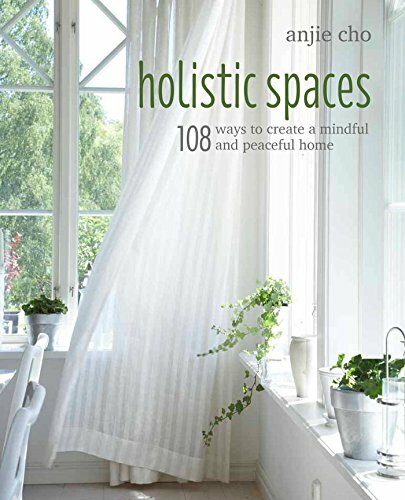 Finally, how do you create a relaxing "holistic space" to practice on your clients? It would be the same approach one would have in Feng Shui. I find that a womb like environment works really well for patients. A pale pink or peach wall, with soft lighting is comforting. You want the client to relax so that their chi will move easily, so that they are receptive to touch and change. Then you have created an environment where blocked or closed acupuncture points easily open for chi to move. I liken treatments to spiritual surgery. You want to create a comforting environment for the patient, a safe, supportive environment. You also want to make sure the room is warm, as the body temperature will drop during a treatment, so we use hot packs and heat lamps. Plants bring a nice energy into the room, as do other prizes from nature: stones (the Metal Element), plants (the Wood Element), a fountain (the Water Element), maybe a bee’s wax candle (the Fire Element), and an offering to the patient of Chamomile tea (harmonizing for the Earth Element). It is nice to have all of the Five Elements represented to honor nature and our body, our earth. Angela Mastoris is a certified Traditional Chinese Medicine Practitioner, health educator, writer, research assistant and lecturer. She is a Diplomat of Asian Bodywork Therapy (NCCAOM). Health education and acupressure was the approach of her private practice in the past, as well as creating self-care routines that match her client’s bodies specifically. Angela facilitates the healing of physical, mental, emotional and spiritual issues using Traditional Chinese Medicine, Five Element Theory, Indigenous medicine, and shamanism. Her career goal is to participate in projects that include Chinese Medicine and scientific research, combining and utilizing her experience as a holistic medicine practitioner, a western medical research assistant, and her writing skills, honed at the University of California at Berkeley as an English department graduate.